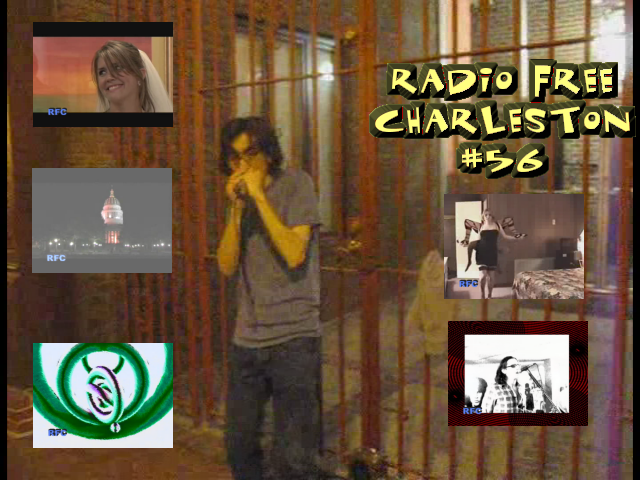 Episode 56 of Radio Free Charleston, “DEVOBAMA Shirt” is online now! This episode features searing hot rock from Dog Soldier, a really cool music video from The Button Flies, encore animation from Frank Panucci, and a trailer for the film “The Bride & The Grooms,” which is written and directed by Charleston native, Butch Maier. Host segments are transmitted directly from the White Room at Stately Radio Free Charleston Manor. The namesake shirt for this episode is a commemorative T-shirt for the benefit concert that DEVO played for the Obama campaign in Akron back in October. This was the first time DEVO played in their hometown for more than 30 years, and they even backed up fellow Akron native Chrissie Hynde on a song from the new Pretenders album. I didn’t make it to the show, but I had to have the shirt. Cool, ain’t it? To give you an idea of the lightning-fast pace of the wired world in which we live, I just heard about this film two days ago, as I write this. I was alerted to it via Twitter, hooked up with the filmmaker on MySpace, and now I present the trailer to you via Radio Free Charleston. Check out their MySpace page for info on how you can pre-order the DVD and the soundtrack CD. Our first musical guest this episode is Dog Soldier, who previously appeared on RFC 46. One of the best bands in town, in my not-so-humble opinion, you can be sure that we’ll have the guys back on soon, hopefully early in 2009. Just a couple of weekends ago we had the pleasure of catching them at The Blue Parrot with RFC faves, Doctor Senator. 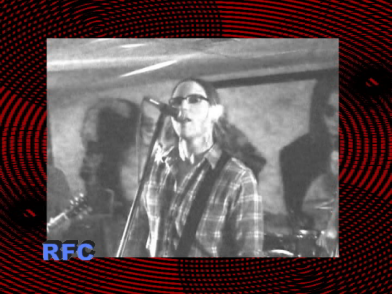 As another example of how fast this episode of RFC fell together, while we shot the video for this song last May, it was edited and rendered in 90 minutes Wednesday evening, shortly before we shot host segments. 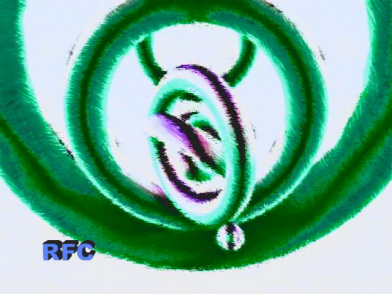 In fact, if all goes well, this edition of RFC will go online less than 16 hours after half of the show even existed! Our next musical guests are The Button Flies. You may remember them from episode 49 of RFC. It’s hard to describe their sound, other than to point out the band includes a banjo and trumpet, and makes abundant use of both of them. This quirky video was compiled and edited by their banjo mistress, Andrea Anderson (also a contributor to the “Fresh Paint” blog here at The Gazz.com). It’s a real treat with clever imagery and highly original music. Our animation this time is an untitled piece created and scored by my brother, Frank Panucci. We used this for the end credits a few episodes ago, but I had a lot of requests to run it unmolested by floating letters. With a minor color tweak, here it is, by popular demand. Finally, in the spirit of spontaneity that grasps this episode of RFC, we feature Harmonic master Ko, busking on Capitol Street last Saturday night. You may remember Ko backing up Barrelhouse Bonnie on episode 42, back in May. Its always a kick to catch Ko, whether he’s jamming on the street, or joining in with someone else in a club. That’s it for this show, which was beset with health and weather problems behind the scenes. All is well, and we got a killer show out of it. Next up is our second “Show Without Words” featuring Chuck Biel’s Punk Jazz and Elemental Devices, plus a snippet of The Scrap Iron Pickers and a short film by Drew The Dramatic Fool. More great local music and film I’m looking forward to the next episode. Any chance of these coming out on DVD?